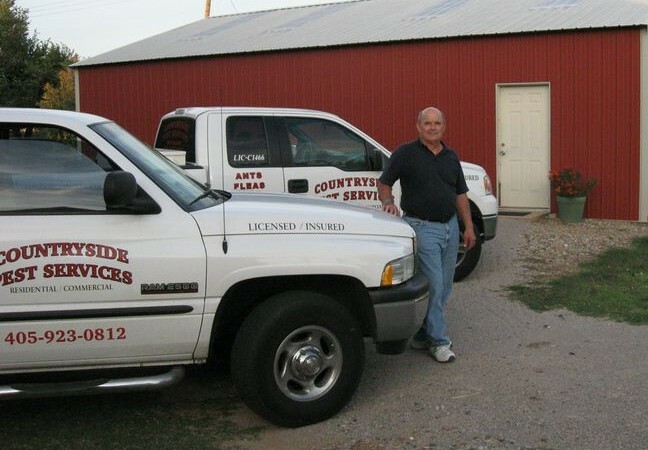 I started Countryside Pest Services in 1978. I believed that I could do a good service for people, give high quality service at a reasonable price, and that you would have someone that actually cares about your problems. I still, today, feel the same way about my customers. Every one wants to feel like they have someone that is reliable, trustworthy, and fair when it comes to doing work around the home. My company cares about you and your home, when it comes to pest control services, I want to be your man. My Company doesn’t spend a lot of money on advertising, most of our work comes from word of mouth (referrals). We prefer to put money in to tools and materials to give you the best quality on the job. In this business, a larger company is not always the best, the job that you pay for is only as good as the person doing the work. That’s why, I, the owner, go out on every job. I ensure that you get quality work that solves the problem. We also use environmentally safe products, so you can have worry free pest solutions in your home. If you have not used one or more of our services yet, you should. If you have used our services, then welcome back, we look forward to seeing you again. Ants, Spiders, Roaches, Fleas, Ticks, Bedbugs, Termites, Gophers, and Moles.